ONI Bureau: Good Evening Readers! Here are the Evening News Bulletin on Odisha, India and World by Odisha News Insight. — A man, 4-year-old son killed after being run over by a train in Balasore district. — 2 dead, over 20 sustain injuries in road mishap near Jayakuda on Rairakhole road in Sambalpur. — An ailing woman carried in sling as ambulance fails to reach the village due to lack of motorable road in Malkangiri. — Odisha boy Sambit Behera in top 10 of JEE (Main) examination 2019; secured a place with 100% score. — Actress Nikita’s death: In-laws failed to appear before police; seek more time. — Sambalpuri album actress Simran’s death: In-laws seek additional 15 days time to for interrogation. — Video of women thrashing the secretary of Seva Samabaya Samiti in Madhab Gram Panchayat of Cuttack dist goes viral on social media. 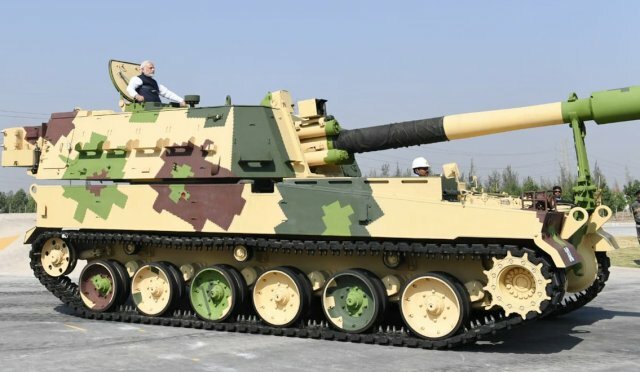 — PM Modi inaugurates India’s 1st private sector Howitzer Gun-making unit in Gujarat; takes ride on ‘Made in India’ K9 Vajra Vehicle. This is a significant contribution towards India’s defence sector and protecting the country, Modi said. — Enforcement Directorate (ED) attaches assets worth Rs 16.40 crore of Zakir Naik’s family under the Prevention of Money Laundering Act (PMLA). — I-T Dept to issue notice where cash transaction is above Rs 20,000 in property purchase in Delhi. — PM Narendra Modi inaugurate India’s first cinema museum in Mumbai, calls films ‘silent power’. — PM Modi ​attacked the mega-rally of Opposition parties in Kolkata, terms it “antipeople”. — Congress Legislature Party (CLP) meeting starts at Eagleton resort. — Anil Ambani’s son Anshul Ambani joins Reliance Group as management trainee. — Scientists finally know how long a day is on Saturn; study reveals a single day is just over 10-and-a-half hours long on Saturn. — Mexico fuel-pipe blaze death toll rises to 66.